A European consortium which designs, engineers and manufactures electric scooters and motorbikes will bring its business to the UK for the first time if plans for the £200 million Yorkshire Energy Park are given the go-ahead. Ecomotion has already established strong markets for its urban bikes in Spain, Italy, France and the Netherlands, and says its next move will be to the proposed energy park on the former Hedon Aerodrome site if East Riding of Yorkshire Council’s Planning Committee give it the green light. 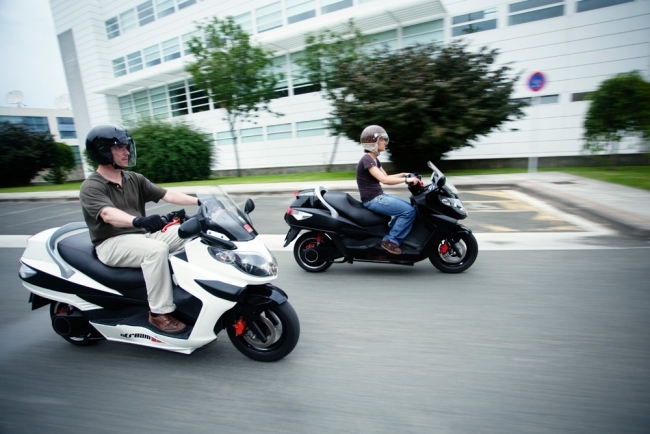 The 100% electric scooters and motorbikes aim to reduce energy consumption and are particularly popular in areas where congestion charges apply, or are being considered. For a 60km ride, a 100% electric vehicle can be built with enough range, while massively reducing commuters’ consumption and maintenance costs, and producing zero emissions. As part of the Yorkshire Energy Park development, Ecomotion is planning a major design technology and assembly facility targeting the UK and international market, bringing inward investment and jobs to the region. It plans to work alongside Warwick Manufacturing Group (WMG), an academic department of the University of Warwick and one of the world’s leading education and research groups, to redevelop the scooters for the UK mass market. The business is the latest to announce its support for the Yorkshire Energy Park plans, alongside a number of multi-national and national brand names, and education providers, including WMG, Hull College Group, E.ON, Asanti, Dell, SSE and Legal & General. This is in addition to backing from the Humber Local Enterprise Partnership (LEP), the region’s biggest business body, Hull City Council Leader Stephen Brady, East Riding of Yorkshire Council Leader Stephen Parnaby, and former Hull West and Hessle MP Alan Johnson. Juan Carlos Alonso, Chief Executive Officer of Ecomotion, said: “We are delighted to offer our support for the plans and announce our hopes alongside other market-leading brand names to innovate and bring inward investment to the Humber region. “If planning permission is granted, this will be the first time we have had a base in the UK and we are incredibly keen to set up home on the Yorkshire Energy Park site, which is so unique in its offering in that it combines resilient private wire electricity alongside a major research and development offering. “We plan to make some modifications to our urban scooters and push these out to the UK market, working with WMG at the University of Warwick to tailor to mass market demands. The LEMev electric vehicle takes its name from LEM, the Italian brand of helmets and motorcycle clothing which combine performance and cutting-edge design specifically developed for the urban user. Ecomotion was founded in 2010 by Luma, Immotec and Dhemen. Luma is the owner of successful motorcycle and scooter accessories brands, Immotec is an engineering company dedicated to the development of racing bikes, which has already produced a MotoGP and Moto2 bike, and Dhemen is a top level, award-winning industrial design company. 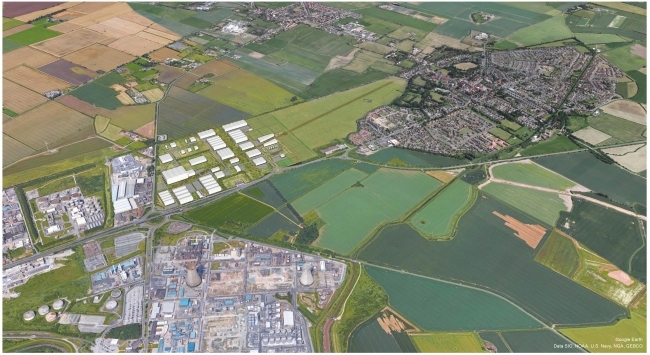 The Yorkshire Energy Park is a potential new development located on the former aerodrome site on the outskirts of Hull, within the village of Preston South, to the west of Hedon, and will create up to 4,480 jobs. If planning permission is granted, the energy park will include an energy centre, data centre and disaster recovery suite, space for established and start-up businesses, education, training and research facilities alongside associated short-stay accommodation, an outdoor building materials and testing facility, and sports facilities for the community. The Yorkshire Energy Park is being proposed by locally-based Sewell Group, Hessle-based communications company MS3 Networks and development company Chiltern Group, and an outline planning application was submitted in May 2017. The team behind the proposals has worked in partnership with statutory agencies for three years to bring about this development, putting the Humber region on the map, including more than 1,000 hours of public engagement to ensure the scheme has been developed with the community. The fundamental reason for this site is the presence of a connection to the National Grid and it can offer clean, reliable energy at significantly less cost than the market for on-site users. Energy can also be sold back to the grid. It is the only site on the north bank of the Humber where this grid connection exists with sufficient capacity for the import and export of energy, and where there is a piped natural gas fuel supply already on site. Yorkshire Energy Park Chairman Chris Turner said Ecomotion’s backing of the development is an incredibly positive reminder of its potential and how it has already attracted the attention of businesses and education leaders both nationally and internationally. He said: “This is yet another example of inward investment and a huge, forward-thinking commitment from Ecomotion to expand its business into the UK under these plans, choosing the unique Yorkshire Energy Park site as its base. “Commitment on this level is phenomenal and should not be underestimated, as it once again highlights how important this site will be to the region and beyond for years to come.